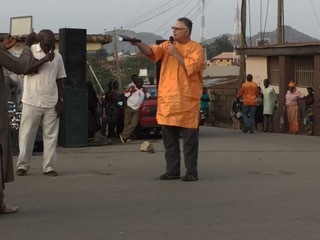 Thank you to those who prayed for my trip, along with Gary to Nigeria. 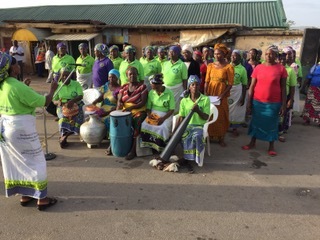 We had a fantastic week of ministry in Nigeria. Honestly, I have not laughed as many days and times as I did there in many years. The time was so good for the soul. I did come home with a nasty bug that has turned into a sinus infection. 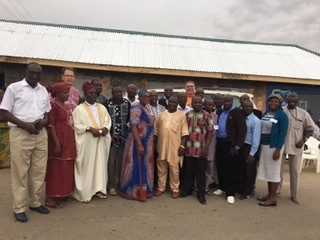 The purpose of this trip was two-fold: to participate in a forum with Nigerian evangelists, and to prepare those in Nigeria for “Transform Uganda III” (a number of Nigerians will be joining us in again this July to visit the villages of Uganda to minister to their spiritual, social and physical needs). For the Nigerians, this was the third forum for Nigeria evangelists. All are from respected evangelical ministries in Nigeria, have been been veted by their denomination as worthy leaders and evangelists, and all have at least a bachelor’s degree and most have a Master’s’. Gary and I were there to continue their once a quarter training and also prepare them for Uganda. Gary taught on Festival Evangelism from a mass scale that included Preparation, Proclamation and Preservation. He also taught on Leadership for the Evangelist from the book of Nehemiah. I taught practical cross-cultural ministry principles as well as the 12 signal systems all cultures use to communicate but in different ways – ie colors, shapes, symbols, time, space, myths, kenesic movement, etc.. 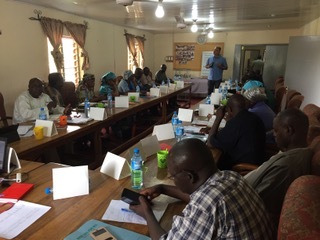 This lead to very fun discussions of examples of what can be stated in one Nigerian village and yet in another causes offense – like a dog is valuable to eat or a snake but in other places very offensive. 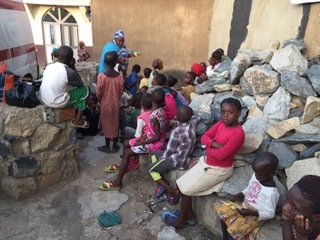 The trip also included a couple of outreach events in an area of Jos, Nigeria known as “the Jungle”. It is next to a very dry riverbed with huge granite boulders. The area is known as a place of robbery, drug abuse and distribution, prostitution, drunkards, and even the police are reluctant to go there because of criminality. At least once a week someone is found dead or murdered. We engaged in two street evangelism outreaches, and the team did a wonderful job of testimonials, prayers, counseling, and preaching. I has a chance to demonstrate how to give a “mini-message”. 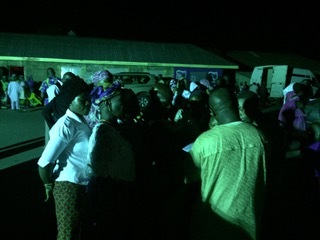 The next day we debriefed the whole event, each section and I had them give feedback from what they witnessed from me: what I wore, how I moved and why, my message from the Leper that Jesus touches and says “Be Clean” in Mt. 8, to how I connected leprosy to my own testimony of rejection and street life. The Lord moved in 207 hearts to have them respond the Gospel. About 1,000 people heard the Good News those two days! Some were prostitutes and “jungle boys” who live a life of crime and drugs. They are now being followed up by New Life for All, and a couple local churches we worked with. Thanks be to God, He was with us the whole time, and He blessed this trip so abundantly!